What does an entertainment venue, a basket ball team and a country blues band have in common? In this case, that link is James Dolan. 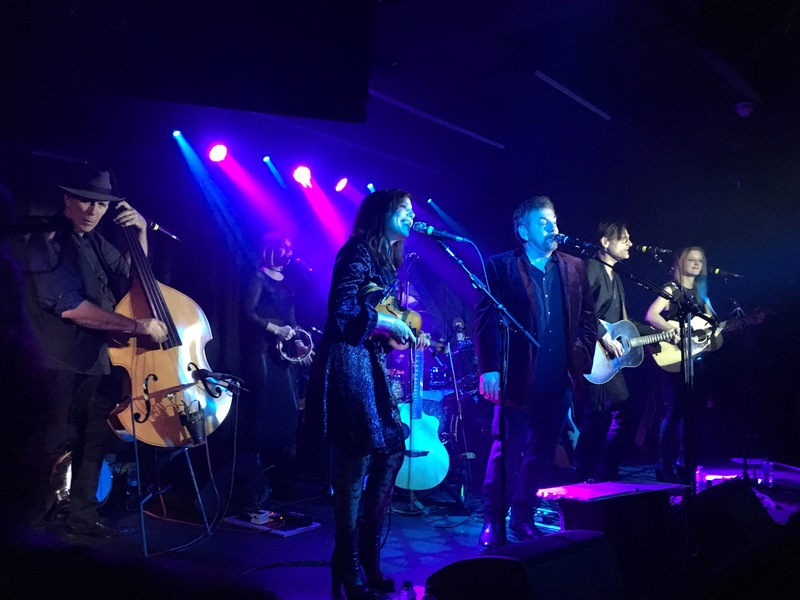 Frontman of vibrant band JD and the Straight Shot, Dolan delivers a real experience for the audience alongside his carefully collated and incredibly talented band. This week the band played their whole album, Good Luck and Good Night, at London’s The Borderline and it definitely did not disappoint. From the moment they took to the stage the audience were clapping and cheering for this singer known to put on a show, encouraging him to deliver. Opening with ‘Redemption Train’ the band showed what they were musically capable of. The harmonies throughout this song were haunting and only enhanced by the Borderlines acoustics. If one things for sure, it’s that James Dolan is a story teller. Proudly telling the audience the history behind each of his songs it was clear that the band is where Dolan’s heart is. Before Moonlight, Good Luck and Good Night and Ballyho, Dolan’s face lit up as he shared their meaning – although maybe Ballard of Jacob Marley (based on Dickens’ A Christmas Carol) didn’t need to be explained so much to the majority English audience. For Glide from the album Ballyhoo! he told of his sons joy at going to the fair and how he wished adults could reach this level of elation – something he clearly has managed in this musical venture. 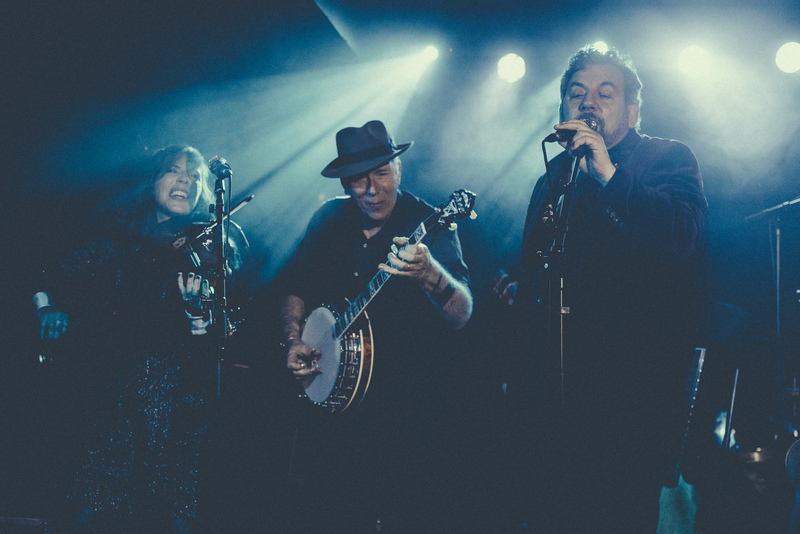 Dolan’s voice was strong and fully supported by the musicians surrounding him. The album recording doesn’t do him justice. The bands sounds was much better live and became a real pleasure to listen too. 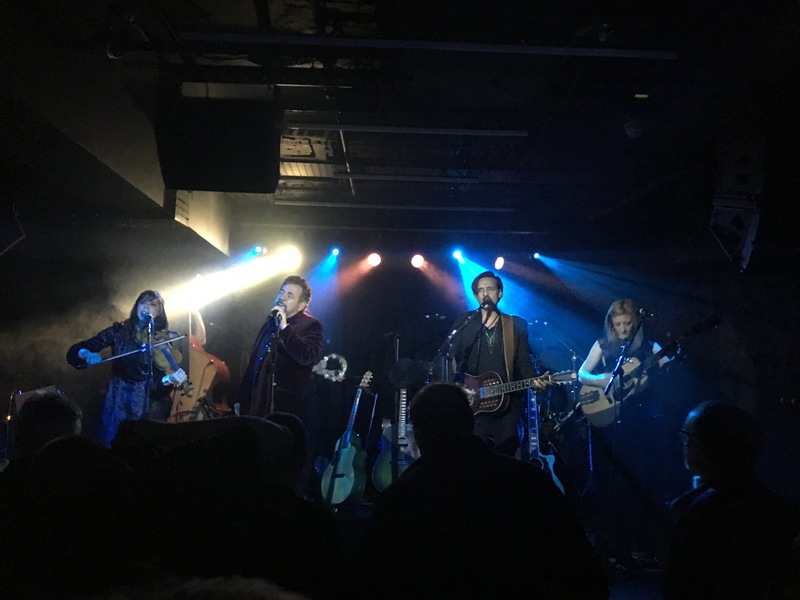 The Straight Shot band is made up of some of the best musicians the genre has to offer – with some pretty impressive credentials. Drummer Shawn Pelton has played on Saturday Night Live for over twenty years and other members have performed with the likes of Dolly Parton, Emmylou Harris, B.B King and Roseanne Cash. Seven-strong, they cover every instrument an Americana band could hope for. 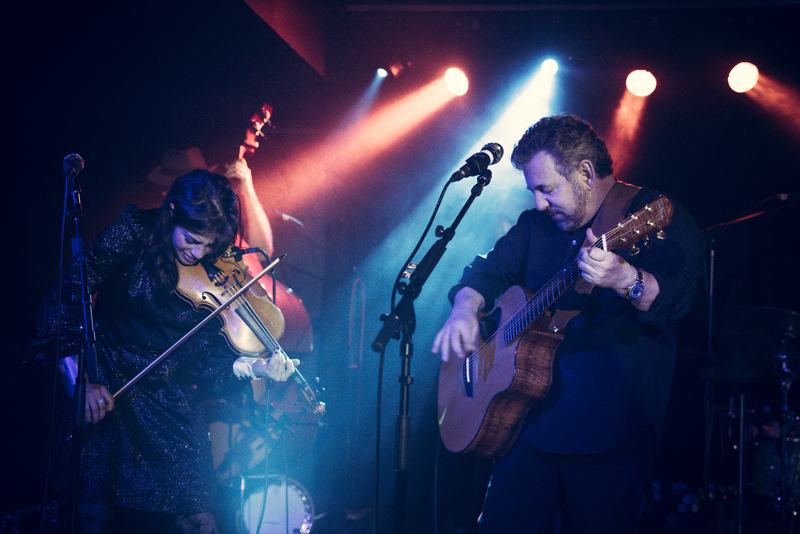 A swirl of haunting mandolin, violin and bass the music is infused with the sound of New Orleans and the South. Erin Slaver on violin was spell-binding on stage, carrying the music and expelling a wave of energy. Her chemistry and looks with Dolan were intriguing to watch – especially on I know you know I know. James Dolan is clearly enjoying himself and loving this phase of life. JD & the Straight Shot surprised, but then with a renowned character as a frontman, you’re sure to have a great show.